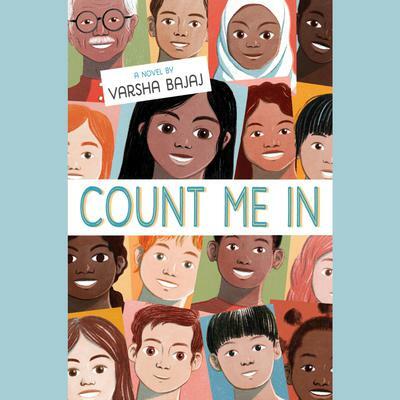 An uplifting story, told through the alternating voices of two middle-schoolers, in which a community rallies to reject racism. Karina Chopra would have never imagined becoming friends with the boy next door--after all, they've avoided each other for years and she assumes Chris is just like the boys he hangs out with, who she labels a pack of hyenas. Then Karina's grandfather starts tutoring Chris, and she discovers he's actually a nice, funny kid. But one afternoon something unimaginable happens--the three of them are assaulted by a stranger who targets Indian-American Karina and her grandfather because of how they look. Her grandfather is gravely injured and Karina and Chris vow not to let hate win. When Karina posts a few photos related to the attack on social media, they quickly attract attention, and before long her #CountMeIn post--"What does an American look like? #immigrants #WeBelong #IamAmerican #HateHasNoHomeHere"--goes viral and a diverse population begin to add their own photos. Then, when Papa is finally on the road to recovery, Karina uses her newfound social media reach to help celebrate both his homecoming and a community coming together.